Saturday @ 10AM Largo, FL-- Over 100 desktop computers, flat screen TVs, office equipment, lavish office furniture, art, telemarketing equipment, and much more! Click here for more info. By the order of the United States District Court for the Middle District of Florida, dated January 12th, 2010, entered in the lawsuit styled Federal Trade Commission v. Group One Networks, et al., case no. 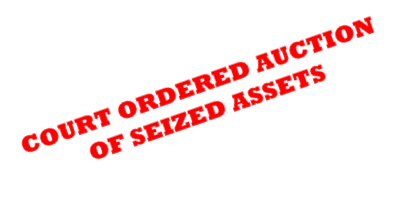 8:09-cv-352-T-26-MAP, Mark J. Bernet, as Receiver for Group One Networks, Inc. and related companies, has been ordered to conduct a public auction of assets owned by the companies in receivership. Friday, February 26th 11:00am until 6:00pm on location, 2300 Tall pines Drive Ste. 126 Largo, Fl 33771, or by appointment, contact John Harris. The Sea Ray can be inspected during business hours by visiting Sunray Marine located at 7249 Ulmerton Road Largo, FL 33771 (where the boat is stored). Over 100 desktop computers, flat screen TVs, office equipment, lavish office furniture, art, phone equipment, 2001 SeaRay Sundancer 310 boat, and much more! For more info on the event call John Harris at 813-784-3926.